Do you have a loved one who is crazy about owls? Get that special someone a truly magical gift and adopt an owl today! When you adopt an owl you help us with our animal care and conservation programmes. How do I adopt an owl? To adopt an owl, first take a quick look at our list of Animals to Adopt. Once you have selected the owl you wish to adopt please download and complete the Adoption Form. Then either post the form back to us or email it to us at [email protected]. Alternatively please come and visit us in the Visitor Services Office opposite the Park Entrance. Our adopt an owl gift packages are ideal for an unusual gift or as a work, school or group mascot! With almost 400,000 visitors a year a corporate owl adoption would give your company the unique opportunity to advertise your services or products on a plaque alongside other current adopters and will show your support of Drusillas and the valuable conservation work we undertake. We have two corporate adoption schemes which start from £100 and include a minimum of four complimentary entry tickets. Please email us at [email protected] for more details. 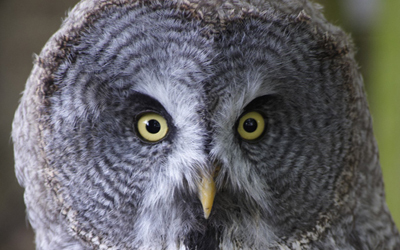 Drusillas offers a loving home to several different species of owl: the spectacled owl, the great grey owl and the snowy owl. Each of these stunning species can be found in the aviary section of the zoo route. You’re sure to find an owl you love; whether you’re a Harry Potter nut and want to adopt an owl that looks like Hedwig or even if you’re just batty about birds! What are you waiting for? Adopt an owl today! Owl adoption packages are available from £45. Please click the link for more details on price and a full list of Animals to Adopt.